Large Commercial Building in Historic Downtown Hawthorne Florida. 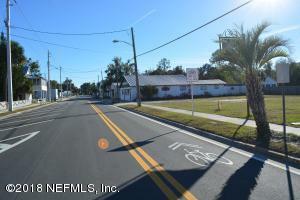 Here's a Commercial Opportunity in Historic Hawthorne, FL. The property is located in The Revitalization area in downtown Hawthorne. The town is being readied for bringing New business's that will support & provide for this amazing area known as ''The Lake Region'' of North Central Florida. The building is constructed of block &#65533; it is 4512 Sq. Ft. & has a metal roof. Years ago the building was the main grocery store for the town. The structure is cleaned out & ready for interior finishing of walls, shelves, etc. The building could have many possibilities: multiple offices, medical building, retail store, Gym.